The National Citizens Alliance (NCA) believes that a balance must be struck between nuclear energy development and the safety and health of Canadians and the protection of the environment. In striking this balance, the NCA believes that nuclear energy development should never occur when it causes significant harm to Canadians’ well-being and/or to the environment. The 2011 Fukushima Daiichi nuclear disaster in Japan and the resulting radioactive contamination of the Pacific Ocean made clear the serious risks involved with nuclear power. Most of the nuclear waste (97%) is LLW and ILW. There are safe management plans for disposing (storing) of the nuclear waste in near surface repositories. High-level waste (HLW) is currently safely contained and managed in interim storage facilities. The most troublesome elements in spent fuel are neptunium-237 (half-life two million years) and plutonium-239 (half-life 24,000 years). Governments around the world are considering a range of waste management and disposal options, usually involving deep-geologic placement. However, there has been limited progress toward implementing long-term waste management solutions. This is partly because the time frames in question when dealing with radioactive waste range from 10,000 to millions of years, according to studies based on the effect of estimated radiation doses. The nuclear waste, when stored in near surface repositories can easily be affected by humidity, water, or earthquakes. Interstellar nuclear waste disposal is not an option due to the high risk, which essentially means the nuclear waste must stay on earth indefinitely (World-nuclear.org, 2014). The release of radioactive contamination into the environment is of concern because of the potential harm to people and ecosystems from radionuclides, which are carcinogens and, at high doses, can also cause rapid sickness and death. Most credible scenarios for radiation doses to people from environmental contamination are based on internal exposure rather than external—that is, radionuclides that are inhaled or ingested rather than those that are outside a person. ● The losing of hair quickly and in clumps occurs with radiation exposure at 200 rems or higher. ● Radiation kills nerve cells and small blood vessels, and it can cause seizures and immediate death. ● Certain body parts are more specifically affected by exposure to different types of radiation sources. The thyroid gland is susceptible to radioactive iodine. In sufficient amounts, radioactive iodine can destroy all or part of the thyroid. ● When a person is exposed to around 100 rems, the blood’s lymphocyte cell count will be reduced, leaving the victim more susceptible to infection. This is often referred to as mild radiation sickness. Early symptoms of radiation sickness mimic those of flu and may go unnoticed unless a blood count is done. According to data from Hiroshima and Nagasaki, symptoms may persist for up to 10 years and may also have an increased long-term risk for leukemia and lymphoma (Atomicarchive.com, 2014). In Canada, the management of hazardous waste and hazardous recyclable materials is a shared responsibility. The federal government regulates international and inter-provincial/territorial movements of hazardous waste and hazardous recyclable materials. Provincial/territorial governments regulate movements within their own jurisdictions (Nuclearsafety.gc.ca, 2014). The federal government has jurisdiction over nuclear energy. Natural Resources Canada is the department responsible for nuclear energy policy. The Canadian Nuclear Safety Commission (CNSC), as Canada’s independent regulatory authority, regulates the use of nuclear energy and materials to protect the health and safety of persons, the environment and national security and to respect Canada’s international commitments on the peaceful use of nuclear energy. The CNSC’s Regulatory Policy Managing Radioactive Waste defines radioactive waste as any material (liquid, gaseous or solid) that contains a radioactive nuclear substance, as defined in section 2 of the Nuclear Safety and Control Act (NSCA) that the owner has no foreseen use, and it is determined to be a waste product. The federal government maintains that licensees of nuclear facilities are responsible for the safe operations of their facilities. 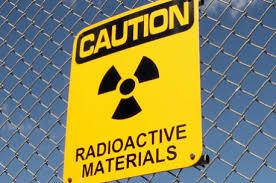 Licensed activities produce different types of radioactive waste, such as uranium mill tailings, used nuclear fuel, decommissioning waste, industrial waste and cleaning material contaminated with low levels of nuclear substances; each presenting its own level of hazard. Since all nuclear substances associated with licensed activities will eventually become radioactive waste, the safe short and long-term management of radioactive waste is taken into consideration during the review process for any licensed activities. Federal legislation that regulates and oversees the nuclear industry, including the management of radioactive waste, is comprised of the Nuclear Safety and Control Act (NSCA), Nuclear Fuel Waste Act (NFWA), Nuclear Liability Act, and the Nuclear Energy Act. The nuclear industry is also subject to the Canadian Environmental Assessment Act, the Canadian Environmental Protection Act and the Fisheries Act. The NCA believes that the Nuclear Safety and Control Act is the key piece of legislation, because it establishes the Canadian Nuclear Safety Commission (CNSC) as an independent regulatory body, responsible for regulating the use of nuclear material in Canada. The CNSC performs regulatory oversight and verifies that licensees and operators comply with regulations and license conditions. The 1996 Government of Canada Policy Framework for Radioactive Waste establishes the institutional and financial conditions to manage radioactive waste in a safe, comprehensive, environmentally sound, integrated and cost-effective manner. This Policy Framework states that the Government of Canada has the responsibility to develop policy, regulate, and oversee owners to ensure that they comply with legal requirements and meet their funding and operational responsibilities in accordance with approved waste management plans. Nuclear waste owners are responsible for the funding, organization, management, and operation of long-term waste management facilities and other facilities required for their wastes. ● The Nuclear Fuel Waste Act – provides the process for decision-making and implementation of the Government of Canada’s Adaptive Phased Management (APM) approach for the long-term management of used nuclear fuel. ● The Nuclear Waste Management Organization is required to implement the APM approach with the Government of Canada’s oversight. ● The Ontario Power Generation – has proposed a deep geological repository, which will be a long-term deep underground storage facility for its L&ILW. ● The Port Hope Area Initiative – is a community-initiated environmental remediation project. The initiative aims the cleanup and the safe long-term management of historic low-level radioactive waste in the Port Hope area. ● The Government of Canada’s Nuclear Legacy Liabilities Program – launched in 2006, provides a long-term strategy to manage legacy waste and contamination on AECL sites, including Chalk River Laboratories and Whiteshell Laboratories (Waste Management 2014). Despite statutes and regulations in the Canadian Nuclear Safety Commission prohibiting the use of depleted uranium in weapons and United States and Canada bilateral nuclear co-operation agreement specifying only peaceful use of uranium exports, the federal government is ambiguous as to whether or not it is allowing the export of depleted uranium for use in weapons. The NCA supports energy development, but not at the expense of Canadians health and safety and environmental protection. Currently, the federal government has relinquished most responsibility of nuclear waste onto the licensees. The NCA believes that this approach puts Canadians in more potential harm’s way from nuclear accidents than if there were more shared responsibility and more accountability. Ultimately, the NCA supports an informed public on nuclear production and waste, so they can decide if the risks from nuclear accidents are acceptable to them. The NCA membership vote on 2014-19/21. 100 percent of membership voted in favour of the nuclear waste policy statement; 60 percent quorum. Minimum 70 percent membership support and 50 percent quorum required for adoption of policies as per the NCA Constitution (2014).